Payments2Us comes with a basic approval process for refunds. 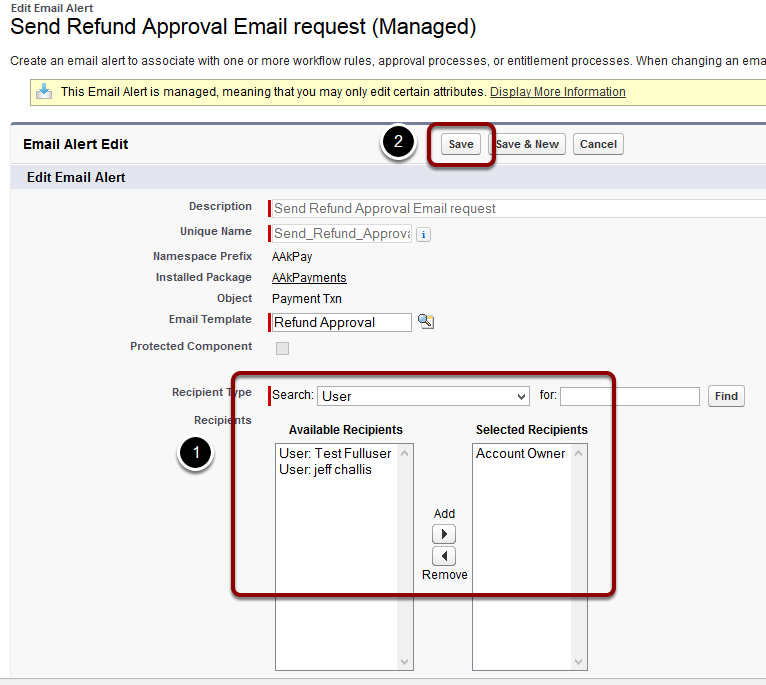 By default, refund approvals process is not enabled and this procedure walks you through how you can do this. 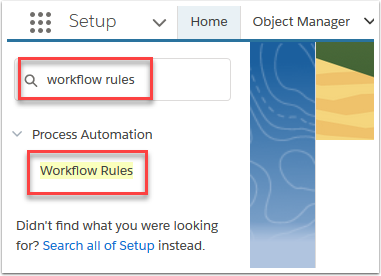 If you wish to have multi-level and more advanced approvals, you can setup Approval Workflows to do this. 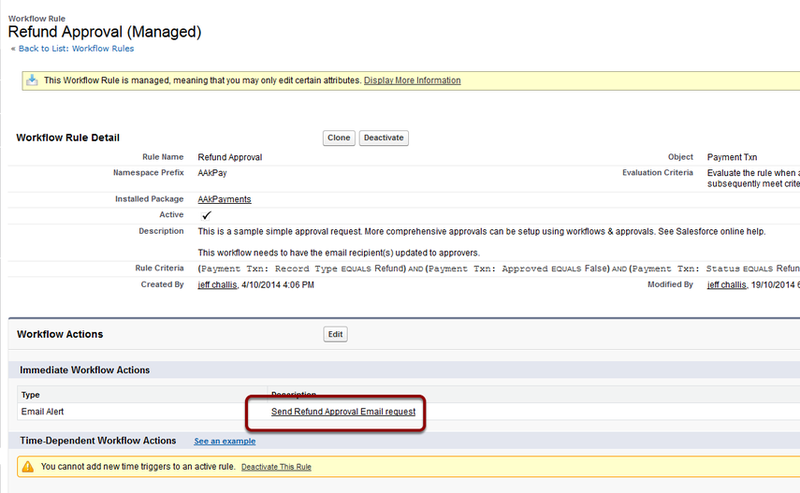 The final approval step simply needs to do a field update that checks the "Approved" checkbox on the Payment Txn. 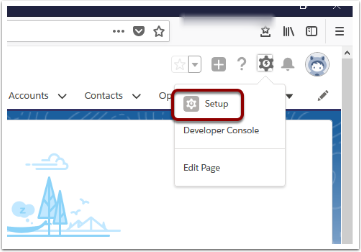 For setting up Approval workflows, please consult the Salesforce online help, or alternatively just use the more simpler version enabled in this procedure. For organisations wanting to use Refund Approval Processes, we recommend you review the internal security setup procedure. 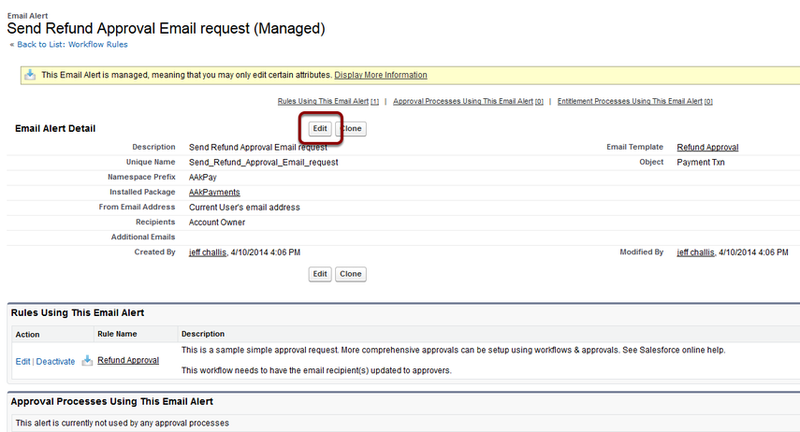 You need to ensure that only approvals have update access to the Approval field on the Payment Txn Object.